﻿﻿Homeopaths Without Borders (HWB) was founded in 1996 through the organizing efforts of Nancy Kelly. With Stephen Malhouse MD, Mary Masuk RN, Sally Goodwin MD, and David K. Warkentin PA, HWB-NA was formed based on the model of the HWB organizations in Europe to provide humanitarian aid to communities in need in North America. What emerged is an organization of volunteers that offers both treatment and education while serving as partners with those communities. The ultimate goal of HWB is to foster independence in the use of homeopathic medicine. Initially, HWB formed a relationship with Airline Ambassadors, an international nonprofit, non-governmental (NGO) organization. 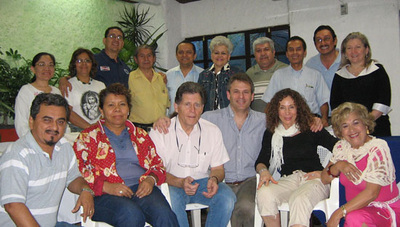 This partnership developed several projects coordinated by experienced homeopathic practitioners: Heather Knox worked in Jamaica with orphanage children suffering from emotional and developmental problems; Sushila Lalsingh led a team that established a health center in Jumpas, Haiti; Richard Moskowitz MD, John Millar ND, DHANP, and Kim Sikorski MD, started a teaching project for health practitioners in Cuba at the invitation of the Ministry of Health. Despite the success of the Cuban initiative, the project was terminated because of diplomatic policies. ​For several years, HWB played a significant role in providing financial support to homeopaths working to spread knowledge of homeopathy in Central America and the Caribbean island nations. 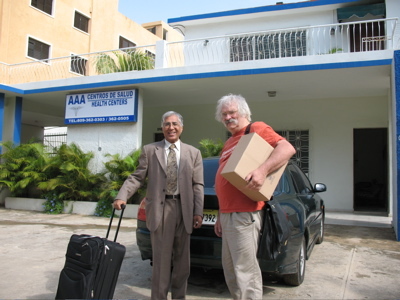 Help was extended to Karl Robinson MD, who established the Homeopathic School of the Americas focusing on training practitioners in Honduras, El Salvador and Guatemala. In 2007, Kim Sikorski MD, a board member of HWB, shared her knowledge of homeopathy for children at a convention in Antigua, Guatemala. 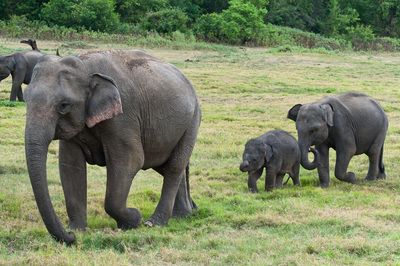 Additionally, when the tsunami overwhelmed the population of Sri Lanka in 2004, HWB reached across the Pacific to financially assist homeopathic disaster relief efforts there.